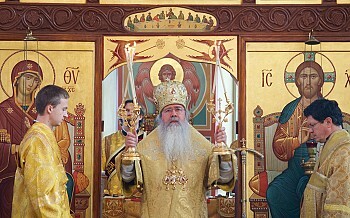 On Saturday, November 14, 2015, His Beatitude, Metropolitan Tikhon presided at the annual Assembly of the Archdiocese of Washington, DC. The Assembly was held at Saint Nicholas Cathedral. 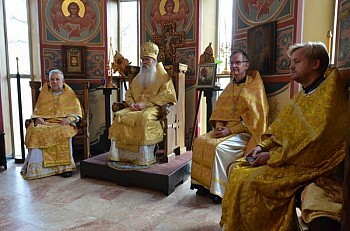 The day opened with the celebration of the Hierarchical Divine Liturgy, after which plenary sessions were held in the cathedral. In addition to Metropolitan Tikhon’s opening address, reports were heard from Priest John Vitko, Archdiocesan Chancellor, and Treasurer Michael Hydock. The day closed with the celebration of Vigil. The draft minutes will be posted in the near future. In the meantime, please enjoy photos taken during the assembly by Fr. Gregory Safchuk, Sdn. Roman Ostash, and Victor Lutes.